VALE: Rita Barnett – ALVA – Australian Ladies' Variety Association Inc. It is with great sadness that we inform you of the passing of ALVA First Associate Member, Rita Barnett. Rita passed away last night at 12.15am in Wyong Hospital. Rita was our first Associate Member and she was incredibly involved with the charity for many years. She helped with many of the events including the Art Unions and famous Balls. In recent times, she has been caring for her husband Ken, who recently passed away. Toni Stevens(Inaugural Queen Bee) informed us of this sad news this morning. Toni was preparing for Ken’s ‘Celebration of Life’ when she heard the news. Rita insisted the event go ahead and she was so looking forward to the Banquet on Monday. The ALVA Community would like to pass on our deepest condolences to Rita‘s son and family and all of her large family of Showbiz friends. We will be honouring Rita at the 40th Banquet being held on Monday. Since the passing of ALVA’s first Associate Member, Toni Stevens has sent us a copy of the Eulogy presented at her funeral. We thought it would be fitting to post it here. Who would have imagined that at the Celebration of Life for Ken last Wednesday, we would have to mourn the passing of, not just one but, two wonderful souls, for at 12.15am on Tuesday 9th April, dear Rita also left us and joined her darling Ken up there with the angels. So, we are here today to celebrate the life of an amazing lady who touched the hearts of us all. She was born Rita Daisy Jones on the 14th March 1929 at 483 Short Street, Granville. The family moved shortly after to Auburn where Rita attended Auburn North Primary School and later enrolled at the Auburn District Domestic Science School where her closest and earliest known friend was Dorothy Barry, who was at the same school. Dorothy (who is here today) recalls “we used to meet every morning at school and then meet at the milk stand and eat our lunch together which most of the time we would swap with each other – a lot of the time Rita would give away most of her lunch to someone who needed it more (an indication of times to come). She was a favourite of Mrs. Langhoff who always called out for Rita to stand at the door and guard the corridor to see if the head teacher was coming so that Mrs. Langhoff could have a “crafty smoke”. Part of the curriculum at the Domestic Science School was teaching the girls how to do the laundry and the laundry teacher, Miss Potter, who was a rather voluptuous lady especially round the hips, made Dorothy and Rita stay behind to hold the chair while she wedged herself out of it. Then, she made them take an oath not to tell anyone, an oath which they kept faithfully for at least …. 10 minutes. Miss Potter would also bring her underwear to school to be washed, so Dorothy and Rita had to wash her bloomers. Unbeknown to us all, it seems that Rita was also a good singer – she would sing at the 1d concerts at school and although never performing professionally, this is probably why she had such a passion for us show biz people. I remember having a problem with my second recorded album, which was a live album, but the final master sounded like the audience was at the back of a huge hall. So, I got a few friends together including Rita and Ken and they sat in the studio and sang along a couple of times with the album, so we had some close-up voices too. Rita was married three times, the first to Tom Attenborough – pastry cook from Granville, who was the father of Rita’s son, Gary. Husband number two was Phil Cornish who worked for Coles Air Conditioning, but his passion was Midget and Stock Car Racing which he pursued in Melbourne and in Sydney and … I wonder how many people here would know that Rita was the first female Stock Car racer in Australia and won many awards for Stock events. Phil, Rita and Gary moved from Sydney to Gwandalan and lived in a garage for several months whilst building their new home and Phil sold his Midget car to pay for the stained-glass doors for the new house. Husband number three (third time lucky!!!) and, we have to say the ultimate love of her life was Ken Barnett, a Pom and Flight Commander in the Royal Australian Navy who retired once helicopters took over but, who thereafter, along with Rita, supported so many military events around the world and many other charities It was 6th March 2001 and time for this pair of spritely recycled teenagers to wed. They were both 71 years old, well timed, as Rita was three months older than Ken and he refused to marry her unless they were both the same age … and unless she gave up some of her charity work. So, she reduced it from 28 charities to 21!! I also had the honour as co/emcee for the wedding which was held in the Navy chapel at Woolloomooloo with the reception on Sydney Harbour. 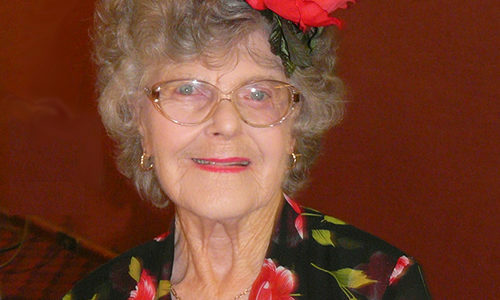 Dorothy Barry recalls that, after many years of not keeping in touch, Rita knocked on the dressing room door at Adamstown RSL where Dorothy was performing and re-introduced herself, rekindling their friendship from many years before. Shortly afterwards in 1987 a reunion and social club for ADSS was founded at Rita’s home in Terrigal and for 30 years Rita was treasurer and secretary. 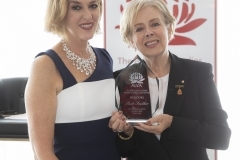 Upon its closure only recently President Noeline wrote “we have a wonderful lady to thank for keeping this association together for the past 30 years, our secretary treasurer Rita Barnett. Rita has worked over and beyond her duties making bookings, lots of typing, posting letters, sending out cards, getting raffle prizes and sending off money to many charities and many more things too numerous to mention, during that time”. Dorothy & Rita actually wrote the school song to the tune of Give My Regards to Broadway. Invite ADSS Members to sing Give our regards to Auburn, and the good old school where we came from …. Tell all the folks at good old ADS that as we sing this song Tell them of how we’re yearning to mingle with the old school throng Give our regards to ADS and we’ll meet again before long. Simply from social functions, raffles and the kitty that they had built up, ADSS upon closing their account, were able to donate $200 each to the Cancer Council of NSW, Westpac Helicopter Central Coast, Volunteers Rescue Service Central Coast, State Emergency Service Central Coast, Starlight Children’s Foundation, Heart Foundation Institute and the Moto Neurone Organization. A wonderful contribution from ADSS. Rita had already cheated death before, when in 1965 she and Gary were involved in a horrific car accident at Doyalson. She was pronounced dead and then brought back to life by paramedics. This second chance at life was obviously what made Rita the strong and determined lady we have always known. 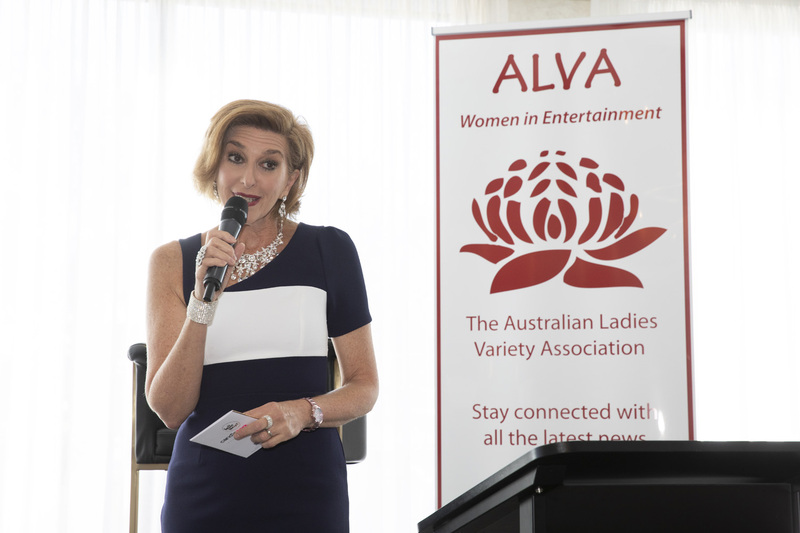 I first met Rita when she was introduced to ALVA, the Australian Ladies Variety Association, by Dorothy and for Rita’s wonderful and tireless work with ALVA including providing transport, to and from the luncheons, for our aged honorary members of the entertainment industry, in 1990, she was honoured with our very first Associate Membership. 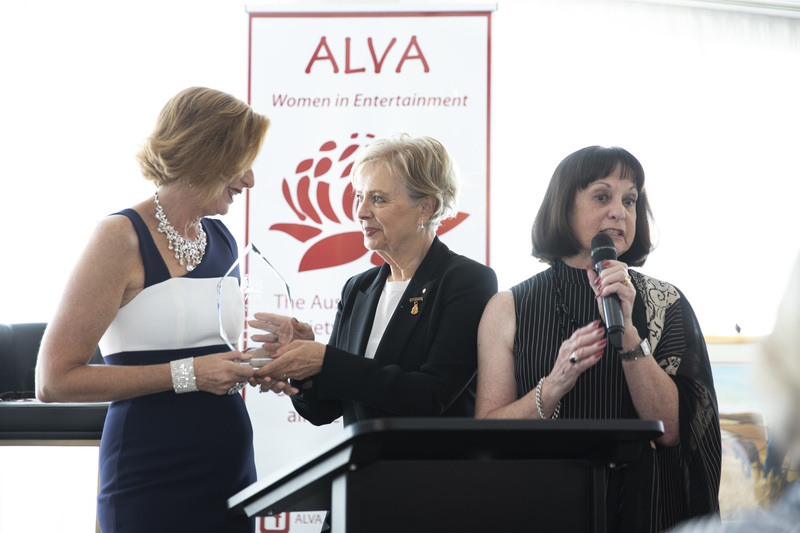 Also, for her dedicated work to many charities she received the Order of Australia on the 8th June 2015. I’ve always called Rita “the ultimate groupie” because when many of us entertainers worked up here on the Central Coast and we had finished our shows, unlike today, there were no cafes or coffee shops in the clubs, so we couldn’t get anything to eat or a cup of tea afterwards as we often needed to. Enter Rita … da da-da da!!! God bless her, she’d be there with sandwiches, cake and coffee in a Thermos flask to nourish us on our way back to Sydney. 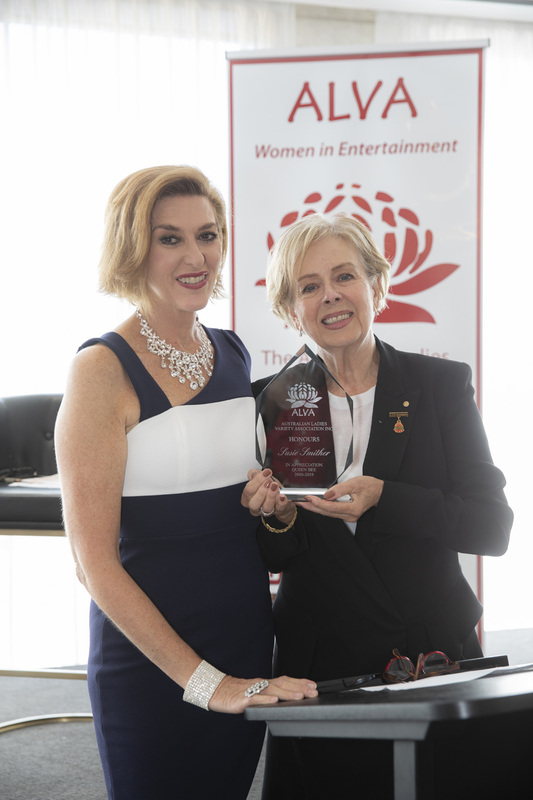 One of Rita’s greatest achievements was the magnificent job she did for many entertainers, who were not sent over to Vietnam by the Government, to receive the Vietnam Logistic Support Medal. Just to explain, the performers sent over by the Government only spent a short period in Vietnam, whereas the Commercial Entertainers (as they were known) spent at least 3 months with a 3 months option. As explained by Barbara Cohen, who is also here today, “I was the first to get this Medal and so that had set a precedent, the flood gates opened up for the hundreds of entertainers who were in this category and it was Rita who contacted so many of them and sent in the application forms along with copies of passports etc. to prove they were there and this took up so much of her time. It was only a couple of weeks ago she dropped off these forms to me in case there was anyone else who had not received the medal, for me to assist them”. For all the hard work she did in obtaining this medal for Vietnam Entertainers – Rita we salute you! So many awards, Thank You’s and Certificates of Appreciation fill the entrance hall of her home in Bateau Bay from many charities and others she has helped including Lions Clubs, Rotary Clubs, Blacktown City Council, Farmers’ Appeal, Starlight Foundation, Golden Oldies, Red Cross Society NSW etc etc.. Both Ken and Rita were heavily involved in Legacy which is a charity providing services to Australian families suffering after the injury or death of a spouse or parent, during or after their defence force service. They currently care for around 60,000 beneficiaries, with 96% of them being widows around Australia and, only a couple of weeks ago, Rita had just qualified herself as a Legacy widow, but, alas, never got the opportunity to take advantage of the benefits. I will always remember Rita as a kind, compassionate and constantly busy lady who never said no to anyone who needed help and always put her hand up for raffles, Melbourne Cup Day sweeps and donations of prizes. Also, her love and care for Ken, whom she nursed and looked after for the past few years, was just endless. We can now be happy that they are bother together, once again, up there in the wide blue yonder with Ken flying his planes and Rita selling raffle tickets.